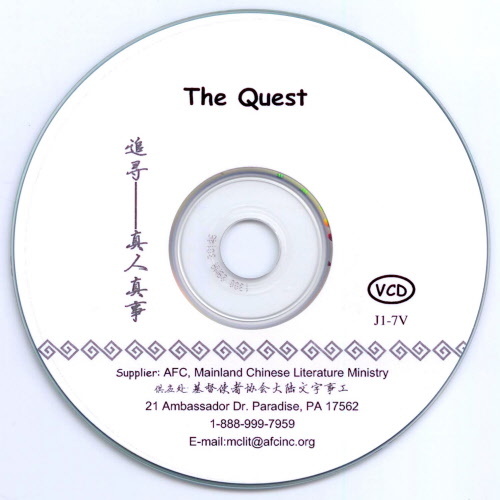 The Quest VCD. In Mandarin VCD, 60 minutes. The Quest is a documentary of three top Mainland Chinese who found Christ while they were studying in the United States.